With the rising costs of hiring cinemas in Sydney, many smaller film festivals and visual arts events are feeling the squeeze of the Sydney real estate market. Metro Screen is working actively with councils and industry to find solutions to this ongoing problem for smaller niche screenings. Here are 15 options to consider for your next gathering. This weekend you can explore the deep dark history of Cockatoo Island with an App developed with the assistance of Metro Screen’s Digital Kitchen funding program – Ghosts of Biloela at Underbelly festival on Cockatoo Island this weekend. Production development and funding for aspiring indigenous documentary makers. Learn the skills of documentary filmmaking with some of the most talented documentary filmmakers in Australia. Apply by 21 August. Don’t miss your chance to hear from some of Australia’s leading and successful multiplatform producers in a 3 hour seminar with networking for only $25. Book now for Friday 9 August 1.30 – 5pm. 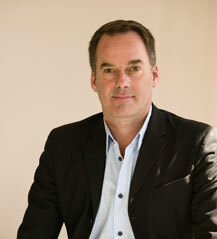 Metro Screen welcomes the appointment of Graeme Mason as Screen Australia CEO. As the current head of the NZ Film Commission we are pleased to see that Mason actively supports short film funding as a critical step in screen career pathways. For: You are between 11-15 years old and want to try and win TropJr – one of the largest short film festivals for youth in the world. You’ll get: A mentor/tutor to guide you in the production of a group made short film that you’ll write, direct, edit and enter into TropJr. For: You want to gain work as a production manager and maybe aspire to one day produce. You’ll get: You’ll find out what the day-to-day workload of a production manager is through pre production, production and post production and learn the most valuable skill you can have in your tool belt - organisation. Led by: award winning producer Heather Oxenham. Compact, solid state, four channel field recorder is available to hire for your next production. 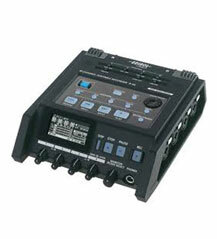 The Roland R-44 is an awesome 4-channel field recorder to capture broadcast quality sound for any size production. It’s designed for professional use in a very conveniently sized mobile package. With no moving parts it is the perfect reliable mobile sound recording option. Get an instant quote or call the Metro Screen Hire and Post Production team to talk through your requirements and get a customised quote on 02 9356 1818. The Man with the Golden Boomerang - Finalist at Short Sharp Digital Festival. Young at Heart Film Festival - Shortlisted for Moviemakers Coolest Film Festivals in the World. Post your job, event, film festival entry opportunity, Give Away or News Item to the Metro Screen classifieds anytime, its free. You are receiving this newsletter because you subscribed to our Newsletter.